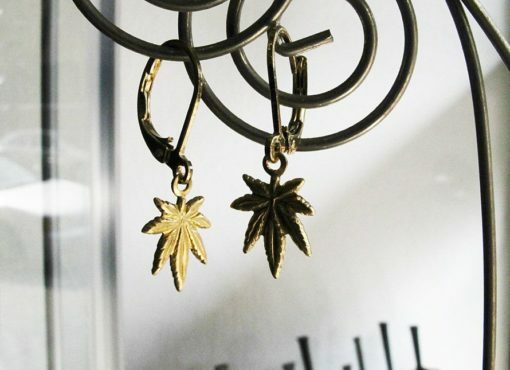 Make like some merry men with these dainty herb dangles. 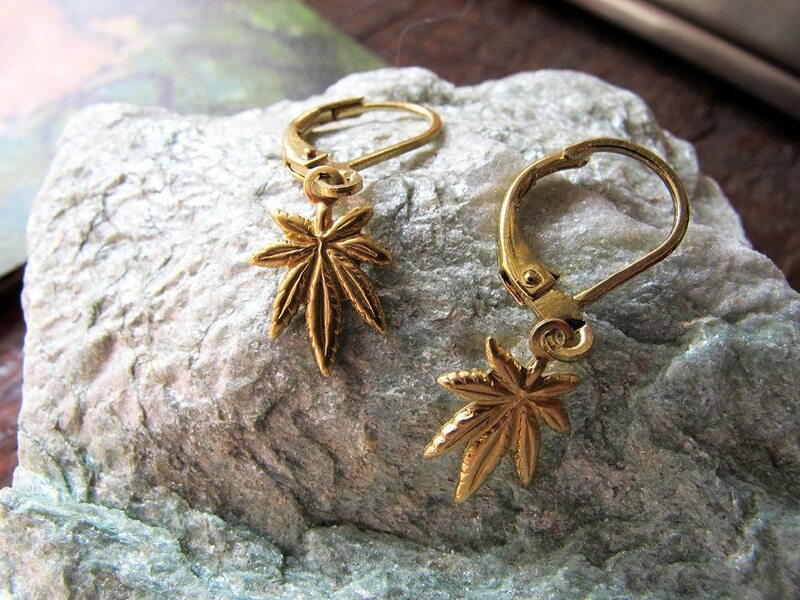 These tiny brass leaf charms measure 13mm x 9mm, and hang from gold plated leverback ear loops for a discreet statement. 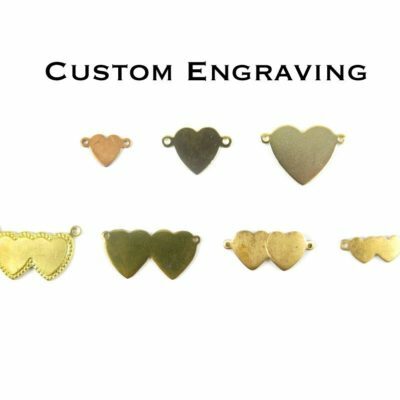 If you have sensitive ears and prefer a 14k gold filled version of the ear loops, we can custom make those for an additional $5 – select gold fill from the drop down menu. I don't accept cancellations, but please contact me if you have any problems with your order. 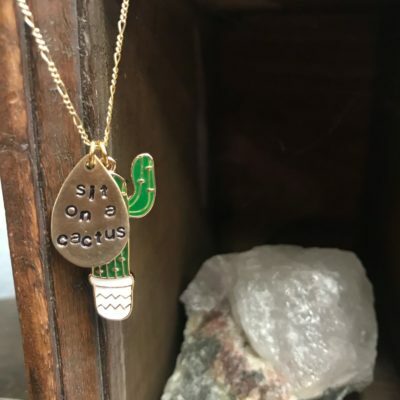 No Refunds or Exchanges on Customized Jewelry unless products are damaged or defective upon arrival. You have 5 days from proof of delivery to make a claim on damaged or defective goods. No refunds or exchanges will be issued after the 5 day grace period. Tarnished jewelry can not be accepted for a return or exchange unless otherwise determined by our staff. A store credit only will be issued upon assessment. Exchanges: Buyer is responsible for all shipping fees for a return or exchange. If item is defective, shipping will be determined on a case by case basis. If the jewelry breaks or defects within 30 days of wearing, we will fix free of charge. Buyer is responsible for shipping it back to us. After 30 days, buyer can purchase a replacement for a 25% discount the value + shipping. This offer is valid up 6 months from date of purchase. Buyer has 14 days from date of shipment to make any claims of lost, stolen, or damaged parcels. CONVO ONLY. Emails are not a valid form of communication for returns and exchanges. Payment We accept payments via direct check out (credit card), pay via paypal, money order, or check. When paying by money order or check, orders will be mailed only when the bank has cleared the check. If we do not receive the check within 10 business days, we will cancel the transaction. 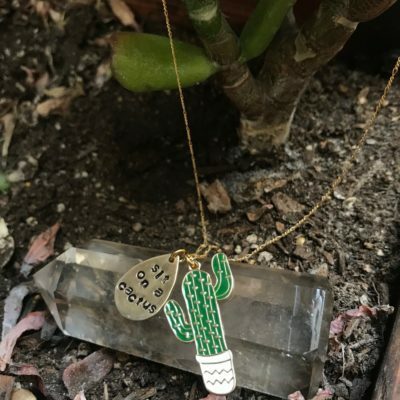 Sales Tax (7.5%) applies to all purchases that are shipped to the state of California (8.8%) applies to all purchases that are shipped to the state of New York Shipping Please allow up to 7 business days for your order to be shipped. Please message before purchase for rush orders. DOMESTIC: All orders are shipped USPS flat rate priority mail (2-3 day arrival) with up to $100 insurance coverage. Buyer can purchasing additional insurance over $100 upon check out. If buyer opts out on the upgraded insurance, we can only cover the value that was insured. We do not ship first class mail, no exceptions. Express mail: USPS express mail “guarantees” 1-2 day shipping. If parcel does not arrive on time, buyer must contact USPS directly to file a claim. We cannot guarantee arrival, or claim responsibility of late arrivals due to USPS error. Fed Ex & UPS: Fed Ex does have a 1 day guarantee. Costs are usually between $40-$100. An additional $15 drop off fee is due for any parcels dropped off with Fed Ex or UPS. LOST PARCELS: If a parcel shows as delivered, please check with a house mate, neighbors, the postman, or the local post office. Unfortunately, USPS does not cover parcels that show as delivered, which means the buyer is no longer covered if proof of delivery is available. If the parcel is stuck in route, please contact us before filing a claim with Etsy. Undeliverable Parcel: If the item is shipped back to us due to improper information provided by the buyer, buyer will be responsible shipping costs. INTERNATIONAL: All orders are shipped USPS first class mail. It can take up to two weeks from date of shipment to arrive. Insurance and shipping upgrades can be purchased upon check out. Buyer is responsible for any customs fees due upon arrival. It is recommended to purchase insurance. No refunds on lost or damaged international packages unless insurance is purchased. Insurance is HIGHLY recommended for all parcels valuing over $75!!! BRAZIL AND ITALY- due to the high volume of lost orders and theft, all orders will be shipped with insurance and the full value of its contents will be written on the customs form, no exceptions. 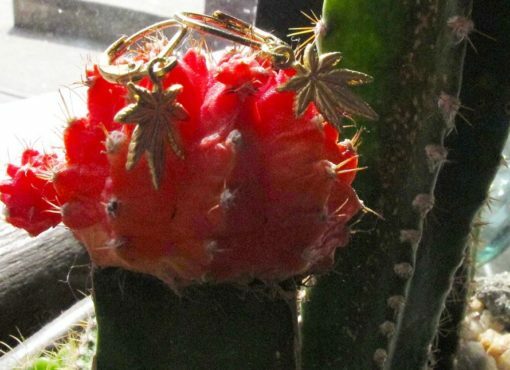 Additional policies and FAQs PLATED AND BASE METAL: wearing something even just once can tarnish a piece of jewelry. This is not due to low quality of the product. Everything tarnishes except for gold, titanium, and stainless steel. All plated materials have just as much likeliness as raw materials to tarnish, fade, or turn your skin green. 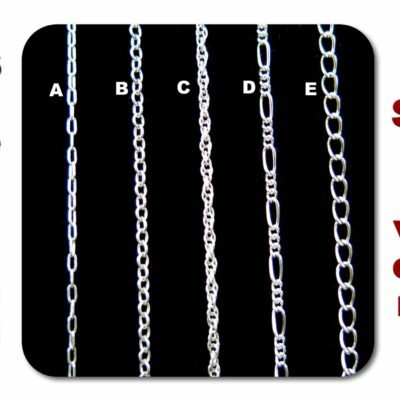 Gold fill and sterling silver chain is suggested for all those wanting a chain that will not tarnish or turn their skin green. 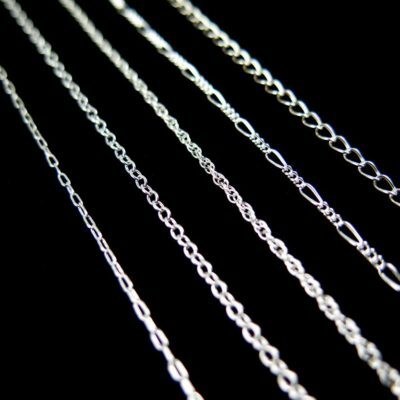 Sterling silver will tarnish, but much slower than plated goods. Here are a few tips to keep your charms from tarnishing: no shower, pool, ocean and avoid contact with water. Lotions, perfumes, oils, contact with skin and a humid atmosphere can contribute to tarnishing as well. The best way to store your jewelry is inside a small plastic bag, it helps to keep outside atmosphere from tarnishing it. Also, never store your jewelry in the bathroom, this is a breeding ground for tarnishing. Our Wholesale pricing is generally 50% off retail price. 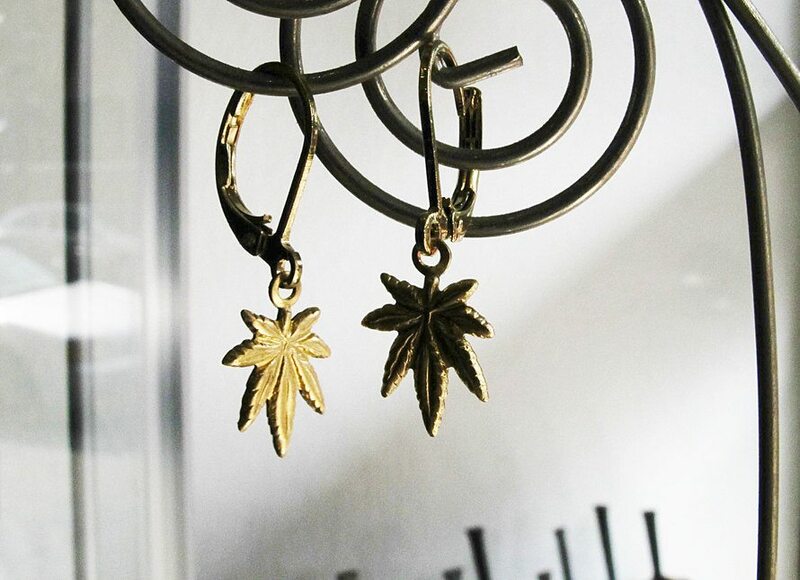 But some prices are flexible, so contact us if you want customized wholesale jewelry. For California residents, you must provide your seller's permit provided by the California State Board of Equalization prior to receiving tax exemption. We will refund any tax charges after the purchase is made. PLATED & BASE METAL: All plated and brass tarnish. Sometimes quick, sometimes not for a long time. We suggest to not get your products wet, or store in humid areas. Keep your components away from lotions, fragrances, soap, and any other items that may quicken the tarnishing. Tarnishing: Some goods you receive may already be tarnished upon arrival. These goods are sold AS IS and will not be refunded or replaced due to tarnishing or scratches on the surface. Manufactured Plating Process: All of our new stock, manufactured brass, pewter and zinc components are electroplated on top of the metal. 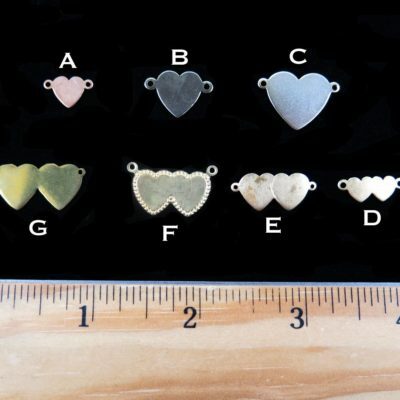 The plating can chip or break off upon engraving or drilling holes into the plated charms. 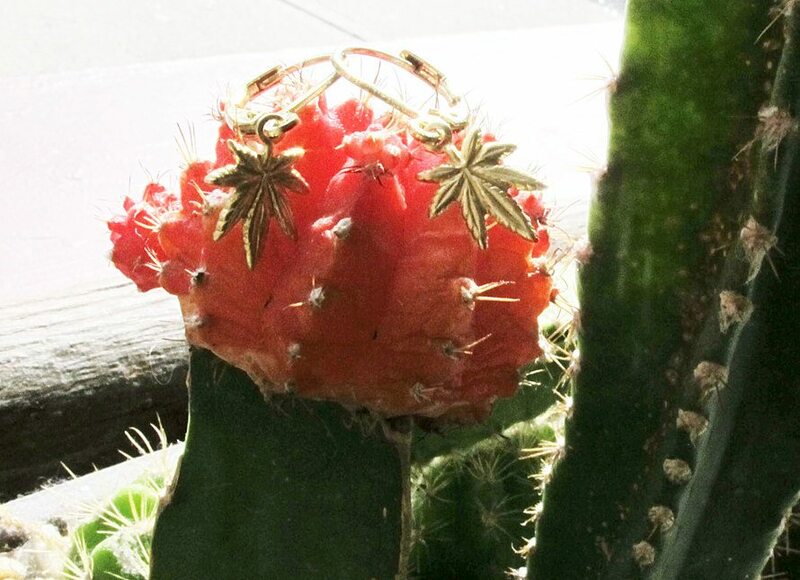 Wearing something even just once can tarnish a piece of jewelry. 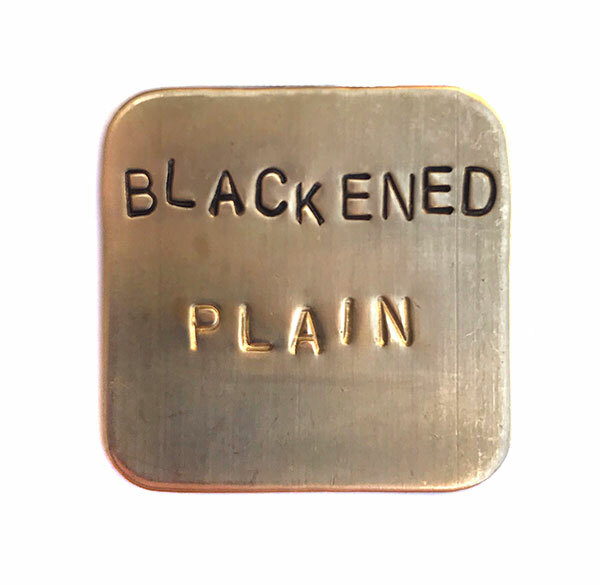 All plated materials have just as much likeliness as raw materials to tarnish, fade, or turn your skin green. 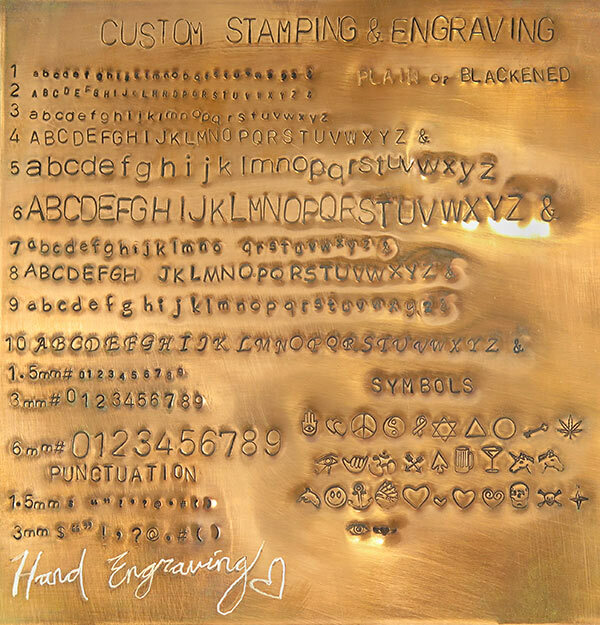 Raw Brass: There is potential for variation of hue from the previous batches. In general our raw brass components arrive in a yellow brass, but on occasion, these items can arrive in a red, green, or orange tone. We have no control of this, and neither does our manufacture. If the components we custom manufacture do not come in the raw brass hue you were expecting, there is no refunds or exchanges. 2019 © Brooklyn Charm. All rights reserved. East Coast or West Coast ?